Hurts have released the first official video 'Miracle' from their second anticipated album 'Exile'. The new video was unveiled through their social networks early this morning with Theo tweeting "Ladies & Gentleman... #MIRACLE". 'Miracle' keeps true to Hurts’ dark and twisted video’s they are known for, alternating between warehouse scenes and shopping malls filled with apocalyptic chaos and culminating in a rooftop illuminated by the new Hurts logo in flames. ‘Miracle’ received its first worldwide radio play on Huw Stephens show when he covered the Radio 1 breakfast show on Friday, January 4, 2013 calling Hurts “one of the most stunning bands around”. Zane Lowe also played the track on his Radio 1 show last week and said “We like this, this is called ‘Miracle’. Quality songwriting, brilliant production, really confident”. ‘Exile’, the bands follow-up to their 2010 debut ‘Happiness’, can now be pre-ordered from iTunes, Amazon, Play and HMV.com, with ‘The Road’ available as an instant free track for any orders through iTunes. 'Exile' will be available to buy on March 11, of this year. 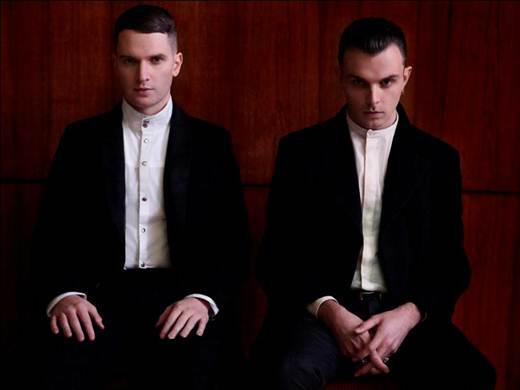 Hurts recently announced a 12-date UK and European headline tour in March and April 2013 alongside London and Berlin headline shows in February 2013. London, Berlin, Cologne, Munich, Hamburg, Zurich, Prague, Amsterdam, Manchester and Glasgow dates are already all sold out.